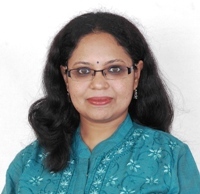 Dr. Shantu - SAHHEAL Healing Consultant & Head - SAHHEAL Learning Studios (SLS), India. - Awakening Open Communication and Integral alignment in corporate circles. - Conscious parenting for families and groups. - Deconstructing Stress for corporates, individuals and specialized groups. - Rediscovering strength out of emotional and physical trauma and pain. - Consulting educational institutions for school children. - “Celebrate your being to discover who you really are” - for individuals. - SAHHEAL Baby Birthing: The Joyful Way and Child birth (prenatal) Education.